-invisible thread. 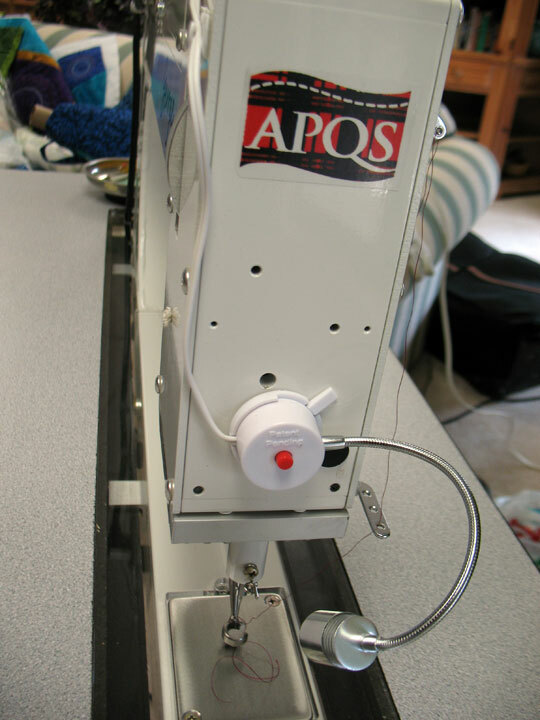 I use tons and tons of this stuff and I always hear long arm quilters complain about it, so if it couldn’t quilt with invisible thread, that was going to be a deal-breaker for me. -rayon thread. Rayon has great sheen but it is a weak thread so I thought it might be problematic on a long arm. -trilobal polyester thread. I didn’t think this would be an issue at all, but I had to find out since I use it so much. I am so happy to have made this purchase and it is such a lesson of the power of connections we make on the internet! 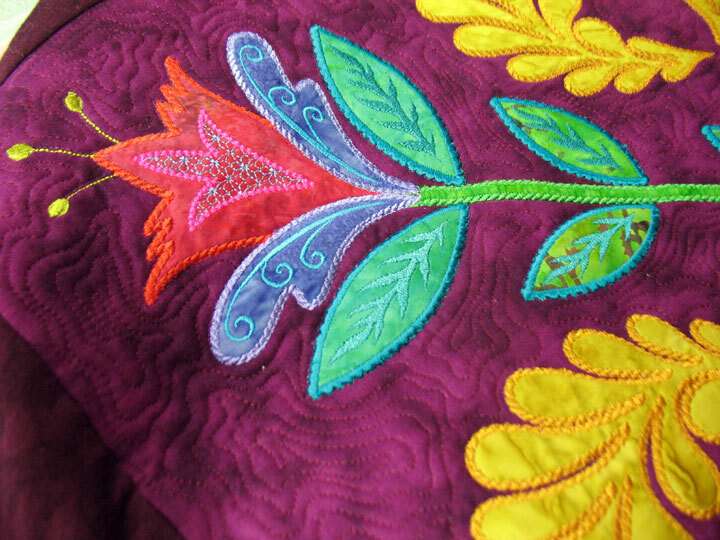 If you aren’t already reading the Tanderwen Quilts and Tamarack Shack blogs, you should be! 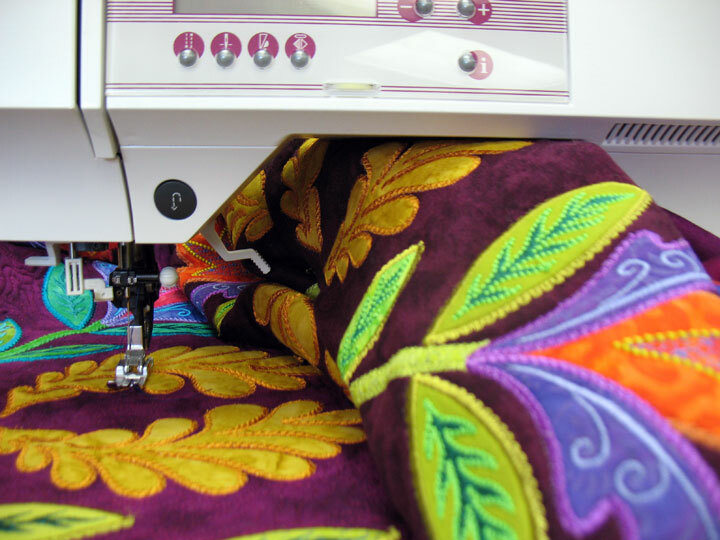 These are 2 women who quilt professionally for others, so there’s lots of eye candy and inspiration! Have a happy weekend, everyone! 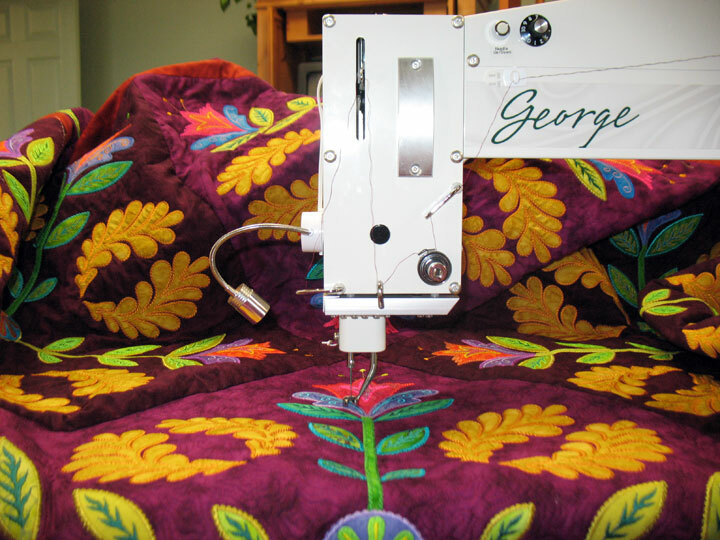 New Notions, Handi Quilter DVDs and so much more! Thank you to everyone who participated in our Spring Celebration Sale! 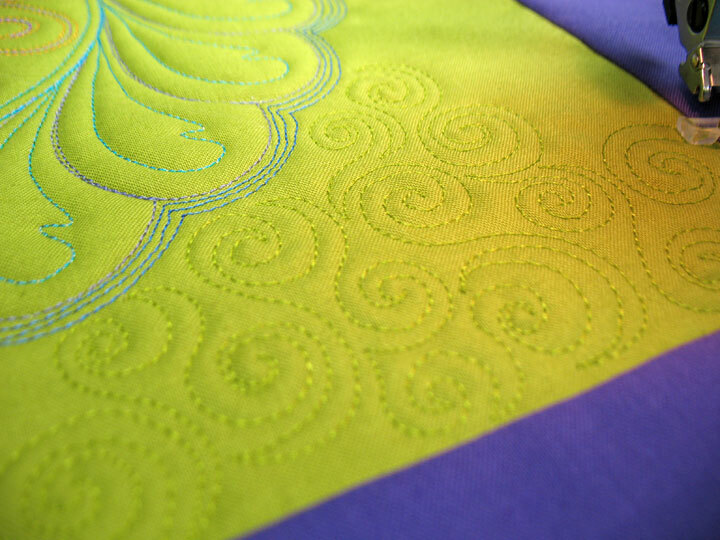 Many of you have purchased the wonderful Handi Quilter Rulers. There are now videos available to show you some great tips and tricks. We have added many great products to our site, make sure and check them out below! We have many other great new additions to our store and you can read all about them below! The products in this newsletter are all new, so for the first week in the store we will be offering them at a reduced introductory price. You will not need to enter a discount code to receive these introductory savings and the prices are valid until May 2, 2014 at 9 am, E.S.T. 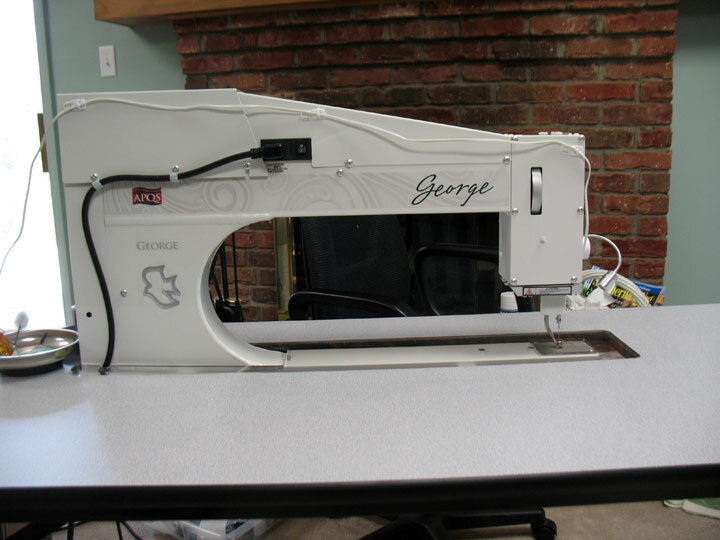 Junior is perfect for making blocks 6-1/2in or smaller. Junior is also wonderful for squaring up any blocks that have a diagonal seam with just one cut. 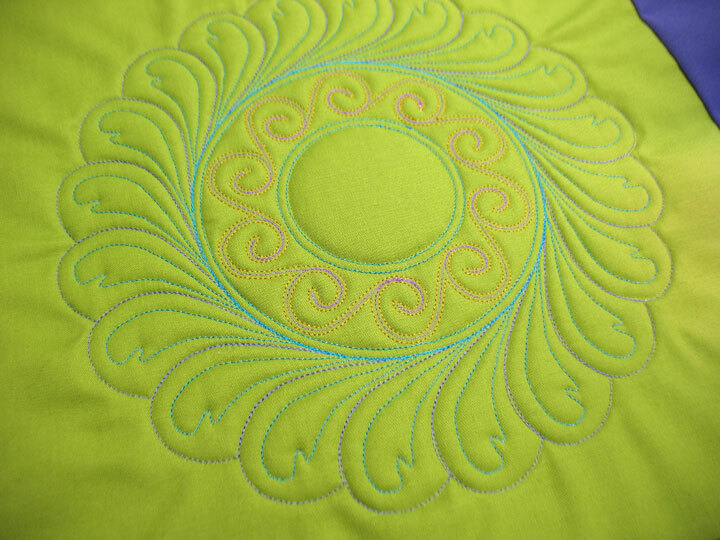 See corresponding patterns at the end of newsletter! 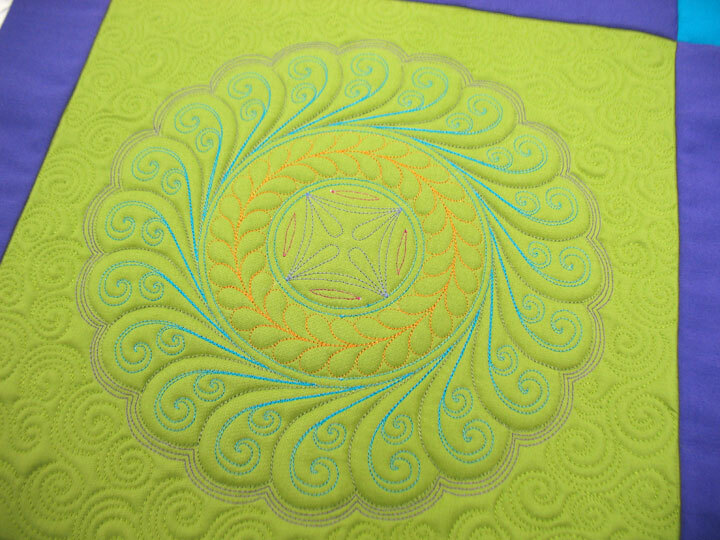 Marvy’s fine point Fabric Markers are great for kids and adults who create fabric art. Easy to use with no mess to clean up. – Writes on most fabric surfaces, especially cotton. Colors Included: 1 each of black, red, green, blue, yellow, and brown. Colors Included: 1 each of yellow, orange, pink, Lt. blue, violet, and green. 60in tape measure with lock button. 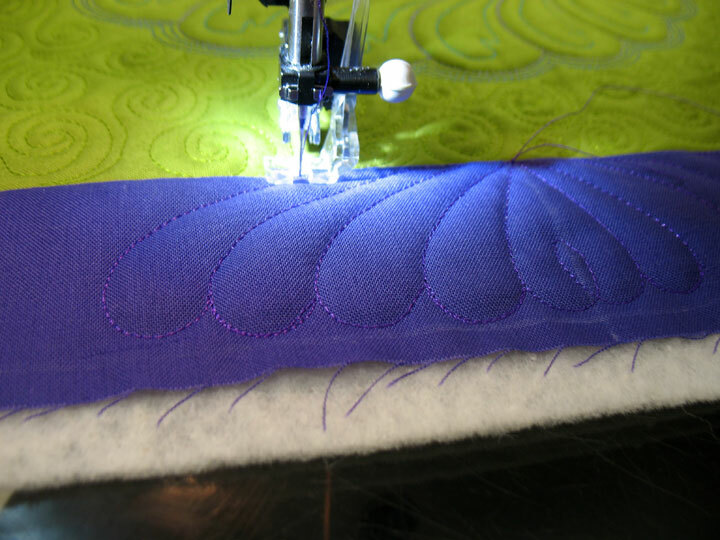 Slightly rounded point for embroidery on most fabrics. Enlarged eye accommodates special application threads. Titanium Nitride ceramic improves needle wear resistance in high stitch count applications and penetration of coarse or densely woven materials. 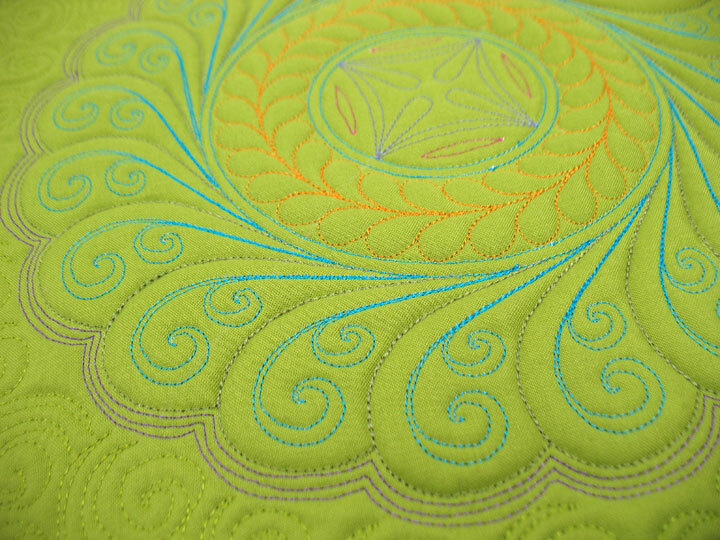 erent arc shapes for a custom-quilted look that includes feathered wreaths and curved cross-hatching. 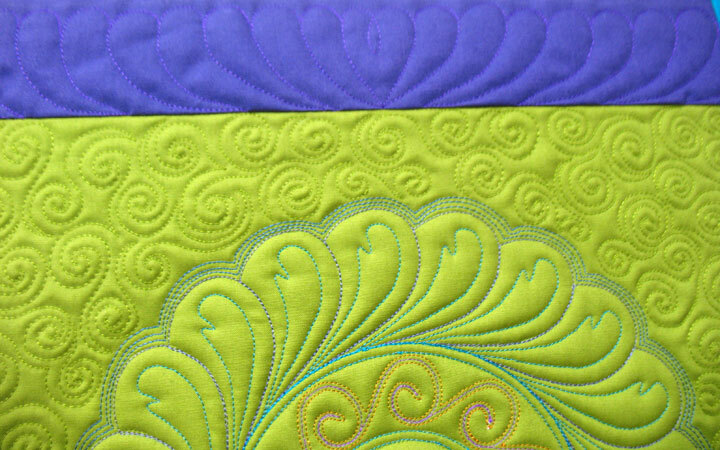 On top of that, this DVD has some great ideas for enhancing quilted arcs and ovals with micro quilting. 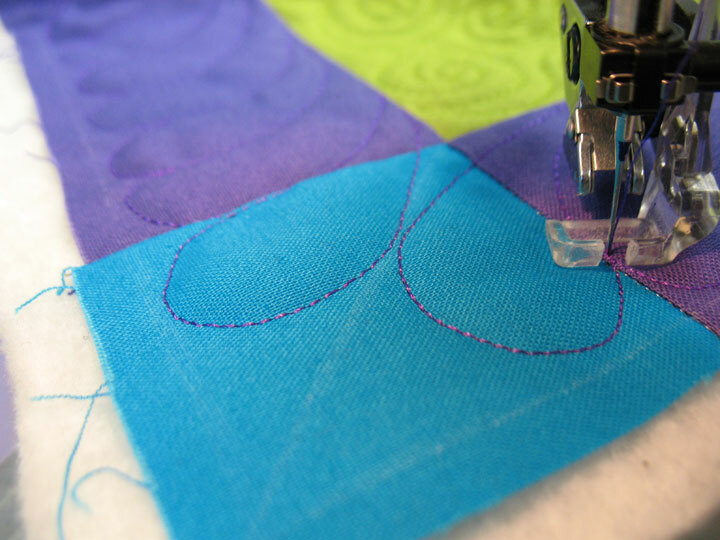 Whether you quilt on a sit-down longarm machine or a domestic sewing machine, this video presents the simple techniques you need to know to get started with machine quilting. With lots of great pockets and styles that are easy to customize, the 11 fun designs in Totes and Bags are perfect for all your needs. You’ll love the many looks you can create using fat quarters and other pre-cuts or fabric scraps. Designs by Sue Marsh for Whistlepig Creek Productions include The Big Easy expanding tote, 3 Charming Totes (Pinwheel Tote, Pocket Tote, and Charms-on-Point Tote); The Big Shopper (3 versions, each in 2 sizes); B.Y.O.B. (Bring Your Own Bag); Messenger Bag (2 versions); and Steps (2 versions). 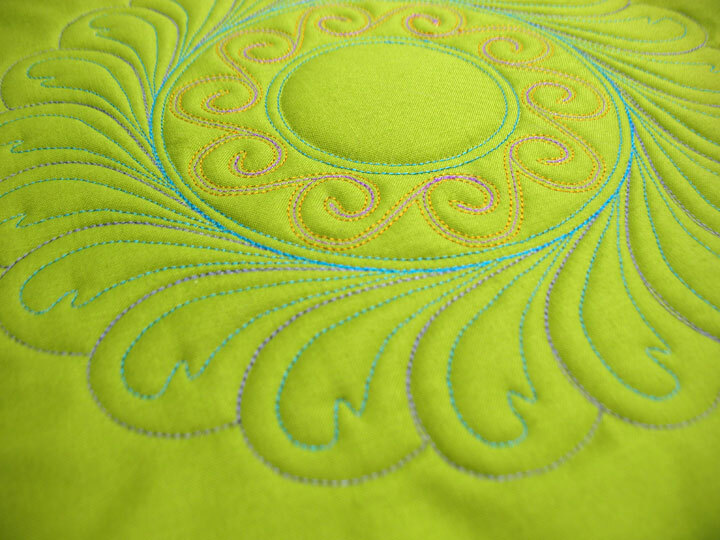 For terrific quilts that are simple and quick, check out Easy Collection from the editors of Fons and Porter’s Love of Quilting magazine. Each can be made in a weekend or less. 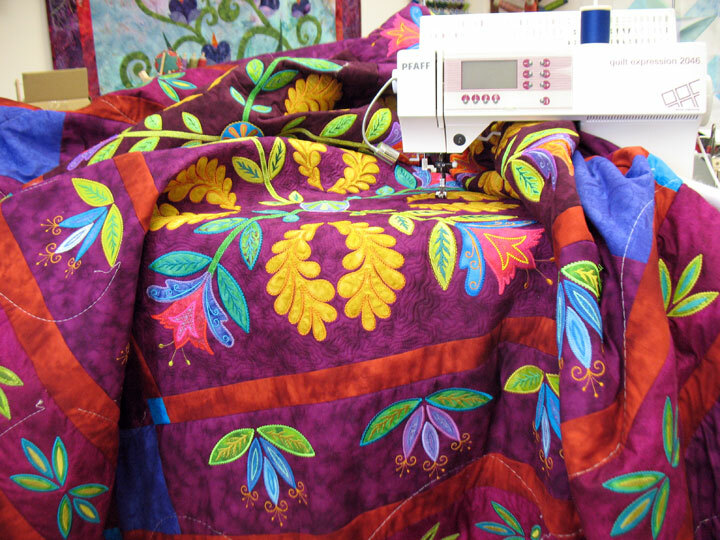 Simplified patchwork, larger blocks, strip sets, and other shortcuts make it all possible without sacrificing beauty. 28 Projects: Jake’s Escalator, Mod Garden, Aromatherapy, Snapshot, Purple Haze, Squares and Stripes, Urban Spaces, Empire World, Gatsby, French Farmhouse, Star-Spangled Beauty, Venetian Dream, Watermelon and Shoofly, Patriotic Patchwork, Jazzy Cats, Happy Howling, Lightning Strikes, Victoria Star, Rainbow Hippie, Sunflowers, Split Pea Soup, Spin City, Phoebe, Color Wave, Sunset Runner, Shooting Stars table runner, Sunny Trio, and Stars of the Past. Filed under Site Updates. 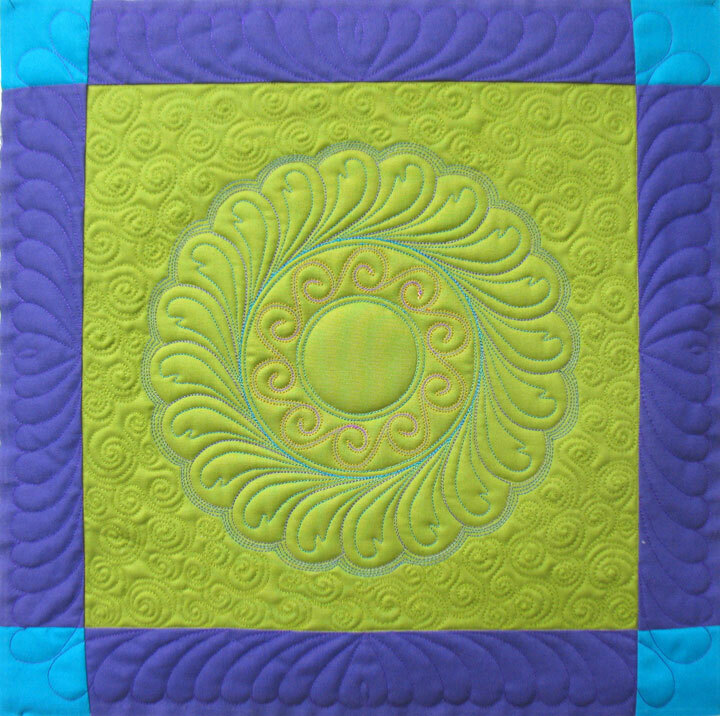 Comments Off on New Notions, Handi Quilter DVDs and so much more! 1. Using a temporary marker (i.e. soap sliver for me), mark a line at the center of each border and also a miter line at each corner. It’s very hard to capture the 3-D texture of these trapuntoed wreaths in still photos, so I’m not sure the whole point of this process is made clear here. I think it’s one of those things you have to see in person. I think what I’m going to do for the class is hand everyone a block with the wreath already stitched on it, so all he/she will have to do is define the zones with invisible thread. 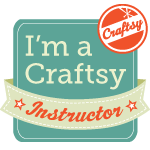 I think this could be a fun class…any thoughts? Final Spring Celebration Sale Days! 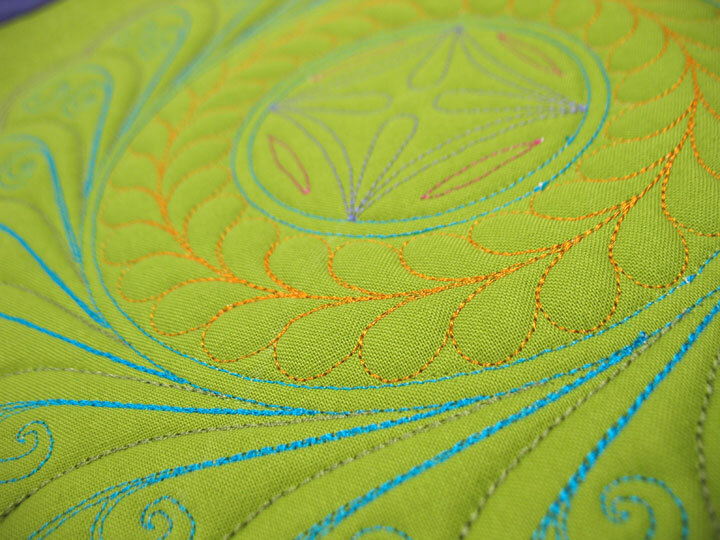 The final days of our spring celebration sale is an additional 17% off all thread! Don’t forget that we also have free shipping to US customers and additional discounts for our international customers, so we are talking about some huge savings! Just enter the discount code: Thread 17% at checkout! Designed by Libby Lehman 60 wt. 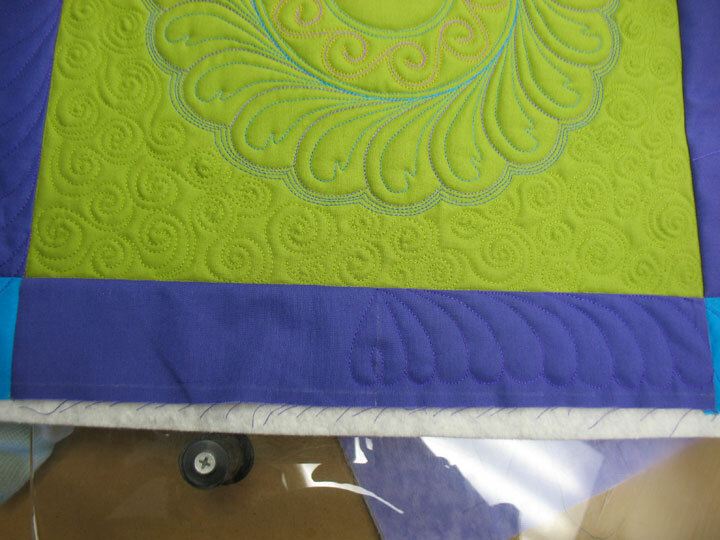 lint free polyester quilting, embroidery, bobbin, binding, and applique thread. 2 ply, 40wt., 120d, 1,100 yards of beautiful, strong, and colorful polyester thread. Mini-King Spools are ideal for any type of machine. This thread is bleach resistant with a Super Bright Shine! Blendables® These exciting new multicolor threads are a masterful blend of different colors within the same range of tone and intensity, with random, subtle color changes every 2-1/2 to 5 inches! No thread has ever done that before. 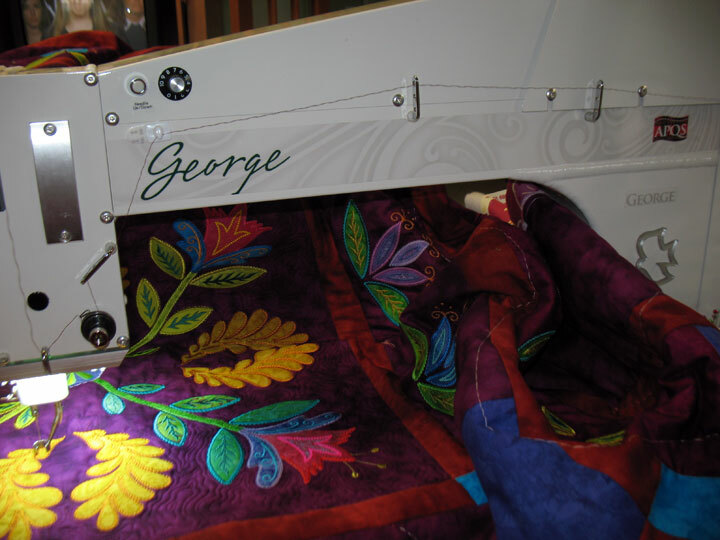 They will add excitement to your quilting and everything else you do. They’re made of the highest quality, long-staple, 100% Egyptian Cotton and come in 84 colors in both 12 wt. and 30 wt. snap-end King Spools. 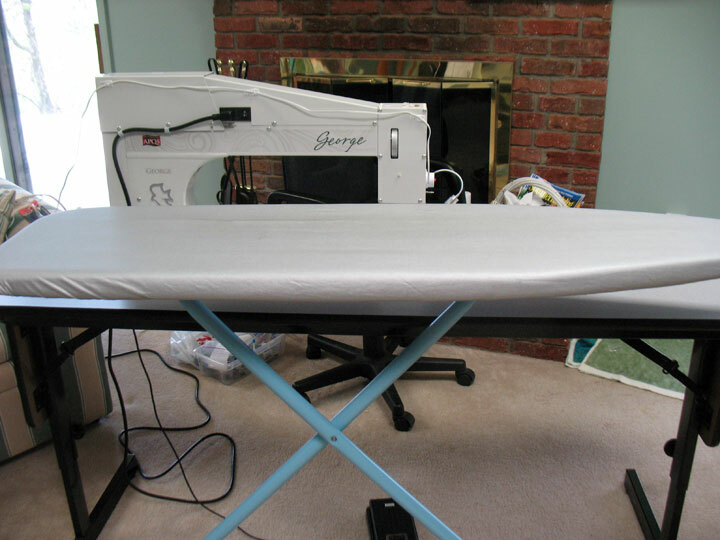 They’re so ideal for quilting, thread lace, bobbin work, thread painting, red work and decorative embroidery; you’ll wonder how you ever got along without them. Fortunately, you don’t have to get along without them anymore. Filed under Site Updates. Comments Off on Final Spring Celebration Sale Days!